So, you're finally planning your trip to Ireland? You must be bouncing with excitement! Ireland is a beautiful country with a ton of history, so I'm sure you'll have a fantastic time! To help you plan your trip, I have put together a list of 10 amazing things to see in Ireland. Seriously, you won't want to miss any of these. 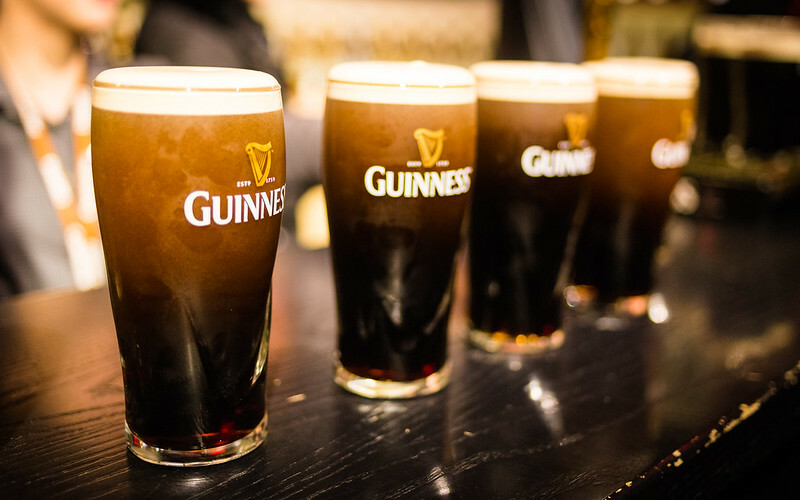 The Guinness Storehouse is a must-visit attraction in Ireland. You might be surprised (or not) at how much the Irish love Guinness! Even if you don't care for Guinness, you must visit the storehouse for a once-in-a-lifetime experience. As a non-beer drinker, I can tell you that I thoroughly enjoyed the tour, plus I am now educated (I have a certificate to prove it) that I know how to pour the perfect pint of Guinness. The price of the tour varies, but you can spend as much (or as little) time in the Storehouse as you like! Most of the tour is self-guided, but at certain points, you can talk to employees and participate in some fun activities! Plus, each ticket comes with a voucher for a free pint of Guinness that you can use to learn how to properly pour a Guinness or in the Guinness lounge on the top floor. For those of you who don’t like Guinness, your voucher is good for a few other (lighter) beers produced by Guinness, which you can get in the lounge. The Cliffs of Moher is one of the most unique landscapes in all of Ireland. While there are plenty of other cliffs on the west coast of Ireland, these are the steepest. They aren’t the tallest, but since they’re so steep, they give you a dramatic view. Besides, they’re still plenty tall. You’ll be standing about 700 ft above the ocean. Make sure you watch your step! 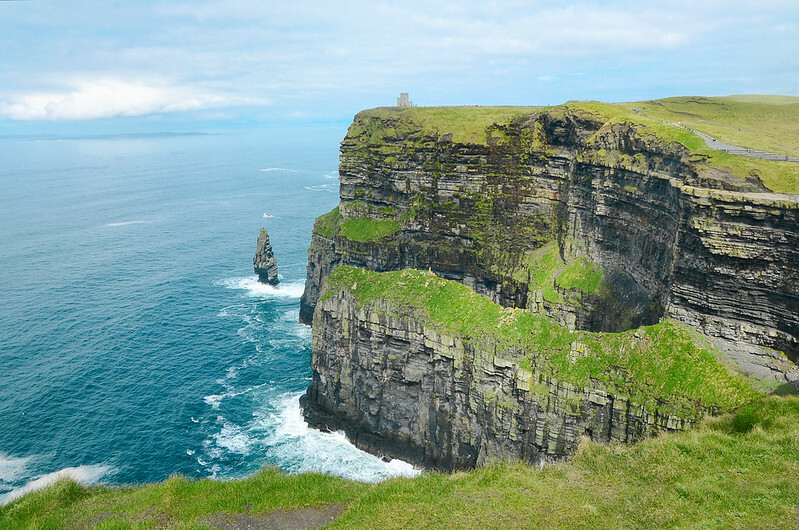 The Cliffs of Moher has a visitor center on the north end of the cliffs, where you can learn everything about the stunning cliffs. You can’t go to birth place of Irish Whiskey without touring one of the most famous Irish Whiskey distilleries! Okay, so maybe you can, but I don't recommend it. The Jameson Distillery offers a 40-minute guide tour, which includes a free drink from JJ’s bar! Yep, a free drink! Plus, I’m pretty sure that Jameson tastes better in Ireland because you’re in, well, Ireland! If, while on your trip, you start to get tired of tours, the Jameson Distillery actually offers some classes and experiences that you can opt for instead. The Rock of Cashel is famous because it was supposedly the site where the King of Munster was converted by St. Patrick. Get this: the conversion took place sometime in the 5th century. Crazy, right?! While most of the structures you see in Cashel were actually built in the 12th or 13th century, there is no doubt that Cashel has a remarkable history. The Rock of Cashel is one of the most visited historical sites in Ireland, making it a must-see on your trip! The Book of Kells is an old copy of the four (Christian) Gospels, which doesn't immediately sound amazing, but stick with me. The Book of Kells is thought to have been created in 800 AD. The book contains intricate drawings and elegant lettering. When you see it, you’ll be amazed that people managed to create it by hand. It looks so perfect. However, apparently, there are a few pages in the book that the creators duplicated on accident, which is rather interesting. 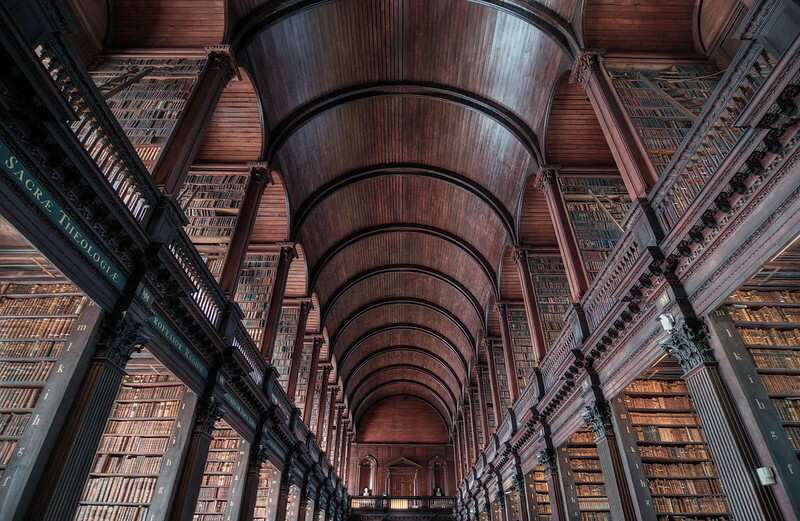 Your ticket to see the Book of Kells includes a walk through the Old Library at Trinity College. The Old Library looks like something out of a movie. The tall, arched ceiling and dark wood bookshelves filled with old, brittle books will make you feel as though you stepped back in time. Have you ever heard of the Blarney Stone? You know, the one that is supposed to bless you with the gift of gab if you kiss it? Well, it resides high up on the wall of Blarney Castle. There are, of course, safety precautions in place, but if you have a fear of heights, kissing the Blarney Stone might not be for you. On the other hand, that gift of gab—the ability to speak eloquently—could be super useful. It's up to you if the reward outweighs the risk! 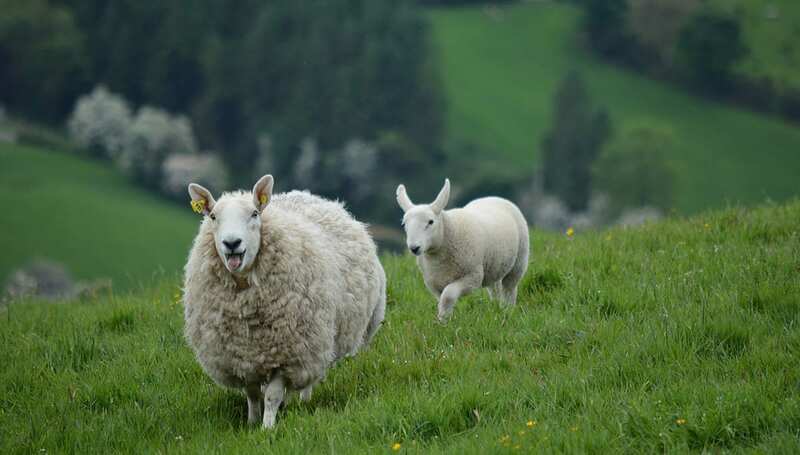 This is a popular attraction in Ireland, so make sure you purchase your tickets in advanced and get ready to wait in line. Bunratty Castle was built in the 15th century, although the history of the land it sits on goes back much further. Bunratty Castle is named after the small village that used to occupy the land. 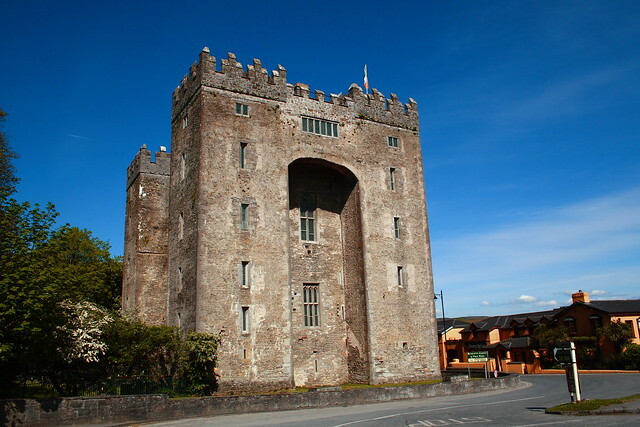 After a battle, the village was destroyed, and eventually, Bunratty Castle was erected in its place. The castle offers great tours, which allow you to see what castle life was like back in the 15th century. If you’re feeling particularly adventurous, you can join a medieval feast, which Blarney Castle puts on nightly. Blarney Castle certainly makes for a fun stop; plus, if you're on a tight schedule, it's easy to visit on the way to or from the Cliffs of Moher, assuming that you're driving from Dublin. First of all, yes, such a thing exists. Second of all, yes, you absolutely must visit! I mean, come on! You’re in Ireland: home of the leprechauns. This museum is fun because it focuses on local lore and Irish mythology. Visiting this museum is a great way to learn more about Ireland’s cultural history. Carrauntoohil is the highest peak in Ireland, making it a great spot to catch an epic view, assuming the weather cooperates. Climbing Carrauntoohil certainly isn't an easy feat, and it takes the better part of a day; however, the effort is well worth it! I mean, you'll feel incredibly accomplished, particularly if you don't often climb mountains. Plus, the best part of a tough climb is the view and the food you get afterwards. Seriously, no matter what you eat, it will be the best food ever! You can do a self-guided hike, or you can take a guided tour up the mountain. The Hellfire Club's old hunting lodge is easily one of the creepiest spots in Ireland. 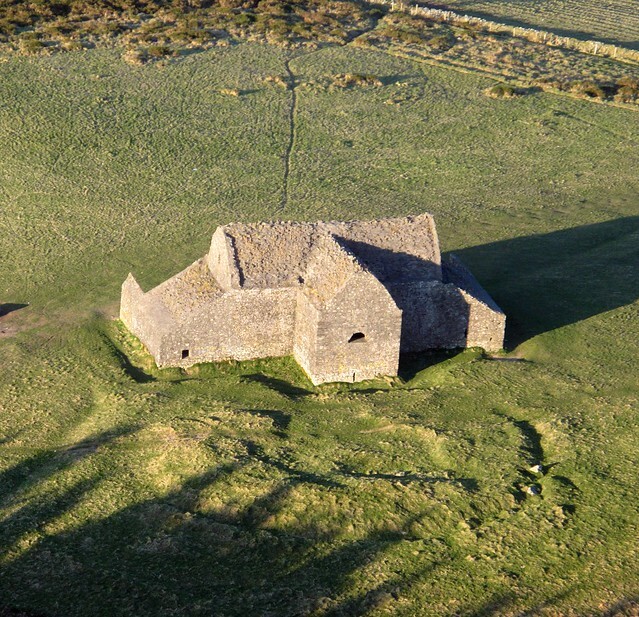 The hunting lodge where the ominous Hellfire Club used to meet is supposedly the site of many supernatural experiences. The hunting lodge is located on top of Montpelier Hill, which is about a 30-minute drive south of Dublin. You can take a guided tour, or you can visit by yourself. Either way, just know that there is a 30-minute walk up hill once you arrive. If you choose to go by yourself, make sure you print out a map! Also, do some reading on the Hellfire Club that way you’ll have some context; it'll make your visit to the remote hunting lodge much better (and creepier)! Jennifer, author and creator of Roads We Wander, is passionate about exploring the world on a budget. She believes that you don't have to sacrifice comfort to travel on a budget. 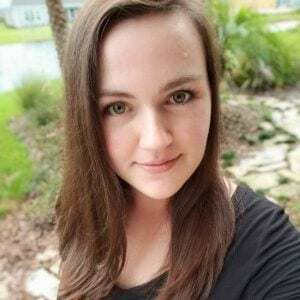 Her blog focuses on helping budget travelers save money, plan their trips, and so much more!